The online version of this article ( https://doi.org/10.1007/s10653-019-00292-9) contains supplementary material, which is available to authorized users. This study was supported by the Coordination for the Improvement of Higher Education Personnel (CAPES). My sincere acknowledgments to the Sanitation Company of Goiás State (SANEAGO). The authors thank you the CAPES (Coordination of Improvement of Higher Level Personnel), by student scholarship. BRASIL. (2013). Plano de ação de Recursos Hídricos da Unidade de Gestão Hídrica Meia Ponte. https://www.google.com.br/url?sa=t&rct=j&q=&esrc=s&source=web&cd=1&ved=0ahUKEwiD8Ia5pKzUAhVDhZAKHRrTAX4QFggnMAA&url=https%3A%2F%2Fwww.cbhparanaiba.org.br%2F_download.php%3Ffile%3DaHR0cDovL2NiaHBhcmFuYWliYS5vcmcuYnIvdXBsb2Fkcy9kb2N1bWVudG9zL1BSSF9QQVJBTkFJQkEvUEFSSHMvR08vUEFSSF9NZWlhUG9udGUucGRm&usg=AFQjCNEvg2bu_XLly9FSB-yt41UdVyUHXA&sig2=uAblRq9Sfni0ozI6BpiYXg&cad=rja. Accessed January 07, 2019. CETESB. (2009). Significado ambiental e sanitário das variáveis de qualidade das águas e dos sedimentos e metodologias analíticas e de amostragem. Série Relatórios. São Paulo: CETESB, Available at: http://cetesb.sp.gov.br/aguas-interiores/wp-content/uploads/sites/32/2013/11/variaveis.pdf. Accessed January 07, 2019. Conselho Nacional do Meio Ambiente (CONAMA). (2005). Resolução número 357, de 17 de março de 2005. www.mma.gov.br/port/conama/res/res05/res35705.pdf. Accessed June 7, 2017.
WHO. (2019). Health topics environmental health. 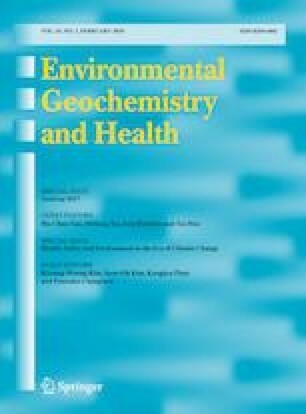 http://www.searo.who.int/topics/environmental_health/en/. Accessed January 07, 2019.